Couture Bridal Photography is the top rated South Florida Wedding Photography offering the most difinitive, distinct and artistic documentary Wedding Photography throughout Palm Beach and Jupiter Florida. Couples from around the United States, Florida and locations worldwide choose the top rated award winning Wedding Photographer for weddings in Palm Beach & Jupiter and destinations worldwide at Couture Bridal Photography. Palm Beach Florida is one of the most extravagant residential areas in the world. Town of Palm Beach is home to some of the worlds wealthiest people including Donald Trump, who is president of the United States and owner of the Mar-a-Lago Resort and club. Couture Bridal Photography is among the top rated wedding photographers in Palm Beach and Jupiter that provides the most eloquent, creative, artistic and distinct fine art engagement and Wedding Photography in Florida. Palm Beach is home to the most popular wedding venues in Florida. Palm Beach County is comprised of many cities and is known as one of the largest counties in the United States east of the Mississippi. Among the most popular Palm Beach county cities couples choose to marry in are Boca Raton, Delray Beach, Boynton Beach, Delray Beach, Manalapan, Lake Worth, West Palm Beach, Town of Palm Beach, Juno Beach, Loxahatchee Wellington, Jupiter and Tequesta. Couture Bridal Photography is among the most popular Wedding Photography studios used by world famous celebrities, athletes, business people and socialites for our discretion and confidentiality agreements. Couture Bridal Photography was the wedding photography studio chosen by Sofia Vergara to photograph her Breakers Palm Beach Wedding to Joe Manganiello, Michael Jordan and Yvette Prieto at Bethesda by the Sea church in Palm Beach, Phil Collen Helen Simmons at EAU Palm Beach, Rush Limbaugh and Kathryn Rogers at the Breakers and Donald Trump and Milania at Bethesda by the Sea Church and Mar-a-lago in Palm Beach, Florida. Being the preferred Wedding Photographer of some of the most powerful, well known and influential people in the world has made Couture Bridal Photography the most sought after high end engagement and Wedding Photography studio in the United States. Brides and grooms that live in South Florida rate the top Palm Beach & Jupiter Florida wedding photographers as those found at Couture Bridal Photography. Wedding Planners and Catering managers along with hotel event managers prefer and recommend Couture Bridal Photography over any other Wedding Photography studio or photographer for weddings in Palm Beach and Jupiter. As the most sought source of top rated Wedding Photographers Couture Bridal Photography is the most booked Palm Beach and Jupiter Wedding Photography studio for destination Weddings throughout the United States, Caribbean, South America, Mexico and Destinations throughout Asia and Europe. Many Palm Beach and Jupiter Florida couples choose to get married on Destination Weddings throughout the world and they choose the most prominent and leading photographers known for the best track record on capturing the finest moments and producing the most artistic wedding photography. Jupiter Florida is one of the most beautiful locations in South Florida for amazing engagement and Wedding Photography. Jupiter is known for incredibly scenic beaches with rock formations and colorful coastline. Jupiter Florida is also known for is high end luxury Wedding venue known as the Jupiter Beach Resort. The Jupiter Beach Resort is a luxury wedding venue located along the beach in Jupiter Florida. 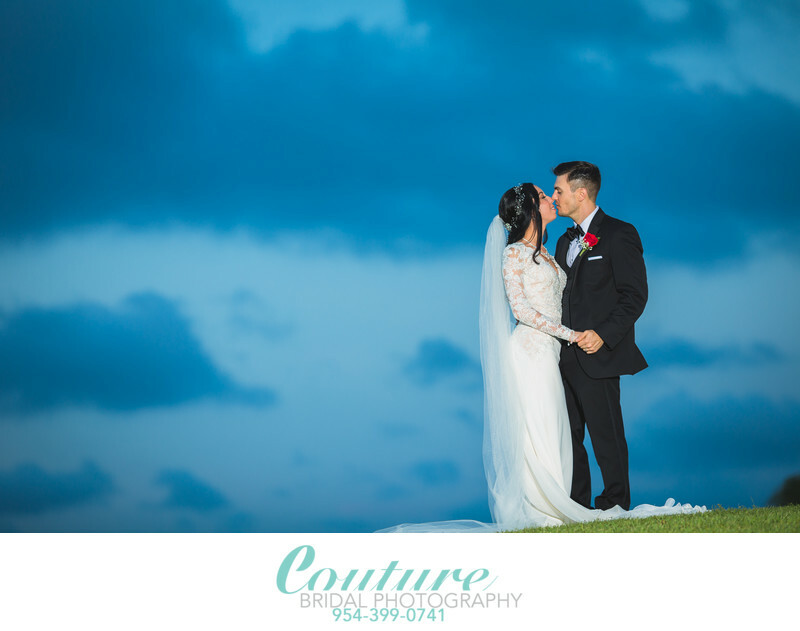 The Jupiter Beach resort has made Couture Bridal Photography the most preferred and recommended Wedding Photography studio throughout Palm Beach and Jupiter for the best wedding photography and customer service. Jupiter Florida is also home to the Jupiter Lighthouse which also hosts romantic weddings along the water under the beautiful and iconic Jupiter Lighthouse. 1/160; f/2.5; ISO 160; 135.0 mm.